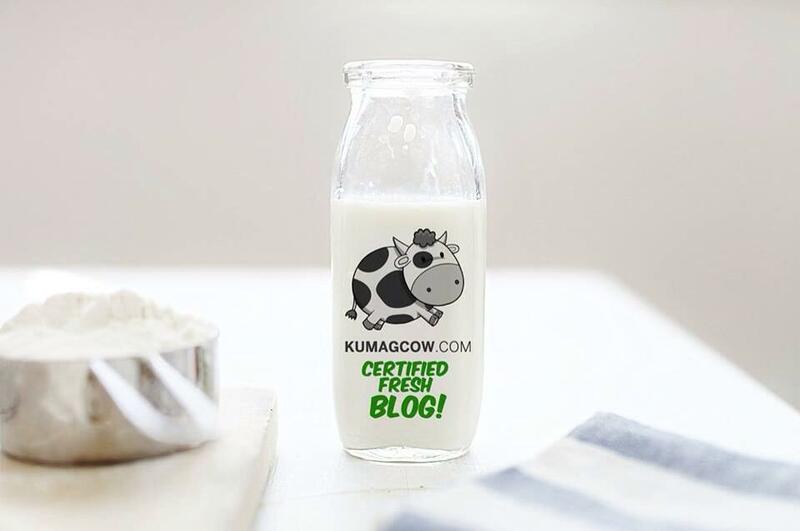 We've seen food supplements come and go, some of them promising one thing and not all of them are quite good to tell you honestly. I don't take them because I might be the earliest guest to go out of an event since I do frequent them quite a lot being a lifestyle blogger. What's refreshing to see is that companies seem to have already made headway in making good food supplements these days that not only can keep your FatOut but also keep you healthy and regularly go do your "thing" when you need to. Now I don't mean regular as in everytime, but regular as in the normal way that you do it. 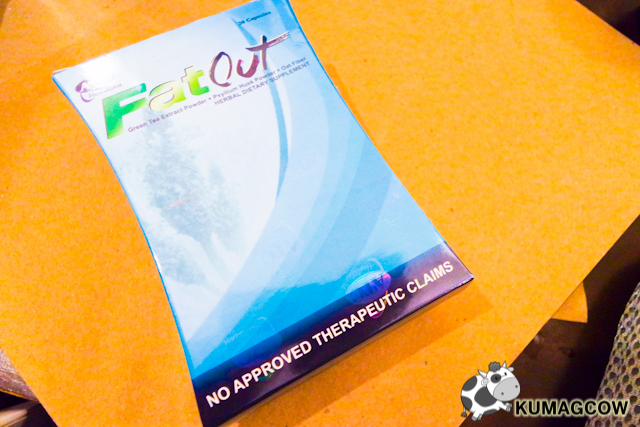 ATC has come out with FatOut, a food supplement that hastens to make you go to that regular trip in the comfort room. This isn't just for fat people per se and that's one of the reasons they got Kim Chiu as an ambassador for the brand because it's for everybody who needs it, not because you have to in your shape or form. In my books, that's a good thing because they don't really force it out of you but only makes you "do it" when you want to, in your own regular time. As with any supplement, things like these should be taken as directed by your doctor. The active ingredient is Psyllium Husk Powder, something that softens things when you're in a stump (if you know what I mean). Aside from that, it's got Green Tea Extract which I've seen can also keep your stomach healthy just like when you're having it like tea. The Japanese have already been using this for years and I know their lifespan is long, so why not put it there right? I also have read it is rich in anti oxidants which can help you keep healthy blood vessels and heart. The Oat Fiber also helps in cleaning your business down there, so in a nutshell you'll get your digestion in check... who doesn't want that right? Oh and please make sure you are 18 years old and above before you do decide to take it, it was explained to us by ATC's reps (so you can decide for yourself of course and consider yourself an adult). This isn't just for ladies. 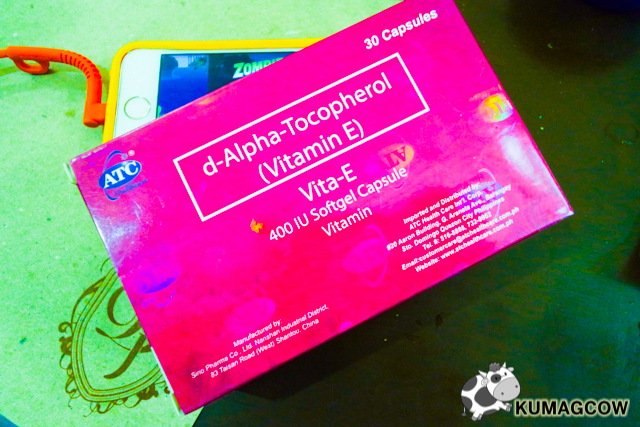 Vitamin E actually helps in better blood circulation, and that's what's in Vita-E. When that happens, you naturally get really good skin. There are some instances that people get breakouts, so in all cases please consult your doctor for it. Vitamin E is seen in vegetables, meat, poultry, eggs, but if you don't have much time or you can't meet the daily allowances then a supplement is recommended. Right after exercise of physical activity, this would be a good place to start and recover with. I don't have this on my regimen but if it'll make my skin smoother, firmer or maintain age marks on my face, why shouldn't I do it right? Do you need help in digestion? 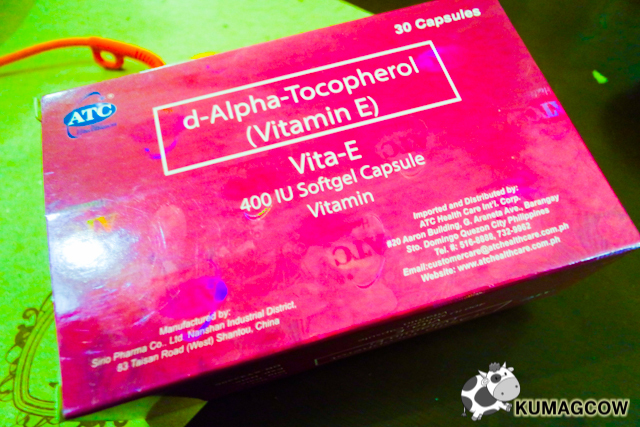 Or do you lack Vitamin E on your diet? Then ATC might have already answered your questions. If this makes you think, believe me, you need it! 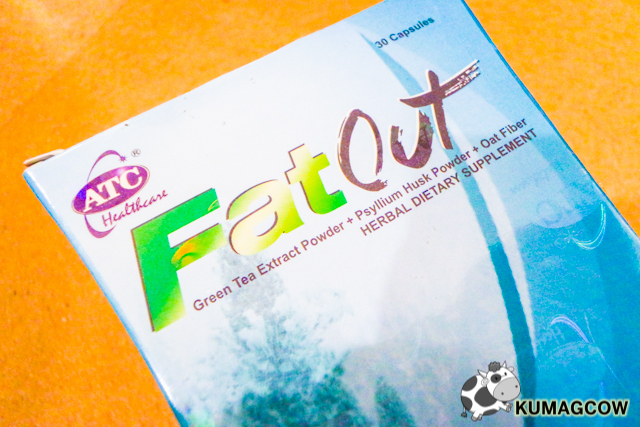 Oh and before I forget, FatOut has got a promo for those who actually would buy their products. Want to get a chance to see their endorser Kim Chiu? Well all you need to do is get them and join their promo here. For more details on their FatOut Fans Day, please check their channels below. Thanks ATC for explaining things for us, that was a lot of information in one day but I enjoyed it! I'm glad I met FatOut and Vit-E!